Wind and water erosion risk is increased after fire removes groundcover and some seed reserves. In the recovery phase after fires, there are several options that will reduce the likelihood and impact of wind erosion. We recommend that you use professional and local advice for your situation and business before investing in the options below. Remove livestock and prevent them from returning: they can be put into a confinement feeding area, an unburnt paddock or agisted. Protect highly susceptible and valuable areas – house and garden, sheds, yards, gateways, laneways – with binding spray, claying, gravel, old hay or straw to give a full cover. A dust-free living and working environment is particularly important after a fire. Leave burnt residue on roadsides, revegetation and bush areas to decrease the risk of wind erosion. If clearing is necessary, it can be left until after the break of season. Check that a cover crop is needed: crop crowns or good pasture roots surviving the fire may provide enough protection. If erosion is starting, choose from the options below. About 10mm of rain on sands and 15–20mm on loams is enough to germinate cereal seed. This is more likely in southern and coastal areas. For areas unlikely to get summer rain, see the next section on claying. Delay spraying any summer weeds on burnt or eroded areas until there is about 50% cover. These weeds will help stabilise the soil. Seek local advice on timing of later weed control. Use on-farm smoke- or fire-affected cereal seed if available. Test for germination and adapt the seeding rate to allow for reduced germination. Cereals handle sand-blasting better than other crops. There is evidence that barley establishes better than wheat as a broadcast crop. Topdress cereals at normal rates if possible. Lower rates (half to one-third of normal rates) will achieve surface cover, but there is little margin for error. Broadcast seed: it is faster than drilling and causes less soil disturbance. Soil disturbance can be minimised by spreading from tramlines or spraying wheel tracks. You may not get 100% coverage, but the strips that miss out on seed should be protected by those that do receive seed. Contract spreading is available to do this. Claying is a good option on very susceptible sands that also suffer from water repellence. However, claying is expensive when done at the higher rates and has technical risks. We recommend you get advice from a professional or experienced operator before choosing this option. Clay rich subsoil should be spread at rates of 75–100t/ha to control wind erosion; higher rates are recommended to give the long-term benefits of reduced water repellence, improved water- and nutrient-holding capacity, improved pasture use, and reduced risk from frosting in some circumstances. Leave clay on the surface over the summer when wind erosion risk is highest, and incorporate the clay into the top 5–10cm before seeding. Incorporation is needed to prevent clay forming a surface crust that reduces seedling establishment and water infiltration. Gravel can be spread at the same rates as clay spreading to get a stable surface. Gravel is preferred over clay on very susceptible and difficult areas like water trough aprons and at gates where livestock tend to congregate. Gravelled areas will drain well when it starts raining. Chemical stabilisers (e.g. hydromulch, DustBloc®, Dustex®, GluonTM) will give short-term dust control. These chemicals are expensive (>$1000/ha). Dustex® and GluonTM require water at 1 litre per square metre (10 000L/ha). Note that the crust they form is easily broken by any form of traffic. Cultivation has the potential to increase erosion and is not recommended in sands. However, delving clays to overcome water repellence can lift large enough clods (>2cm in diameter) that protect the soil from erosion by reducing wind speeds at the soil surface. Delving requires experienced operators. Too much clay or the wrong type of clay brought to the surface can be detrimental to the crops in following years. Ploughing heavy soils (clay and loams) to bring up clods will stabilise eroding paddocks, particularly where the subsoil is moist. The aim is to achieve and maintain a target groundcover of 50% of anchored biomass, equivalent to about 800kg/ha dry matter. Fire-affected paddocks usually recover slowly because fire removes seed reserves of grasses and the condition favours weedy species. And, because most groundcover has been removed, the paddock is susceptible to more erosion at the break of season. establish cover crops on the most eroded and susceptible areas, and graze to allow pasture plants to develop. Carrying capacity will be reduced for the first season and it may take 2 to 3 years to achieve full production from annual pastures. For more information, refer to the Agriculture Victoria page on recovery after fire, and the quick reference guide on pasture recovery after fire. Fast-growing cereals can reduce the risk of wind and water erosion on burnt pasture paddocks in autumn and early winter if established early. Seed as early as possible to ensure there is enough time for the plant to establish a good root structure and produce stubble for erosion control. Cereals can withstand sand-blasting better than most other crops. A seeding rate of about 30kg/ha of cereal seed is generally adequate. Oats produce more stubble than wheat or barley, and are the preferred option for a cover crop. Do not start grazing until there is a minimum of 800kg/ha dry matter and at least 50% groundcover. Aim to have a minimum of 50% groundcover over the following summer. 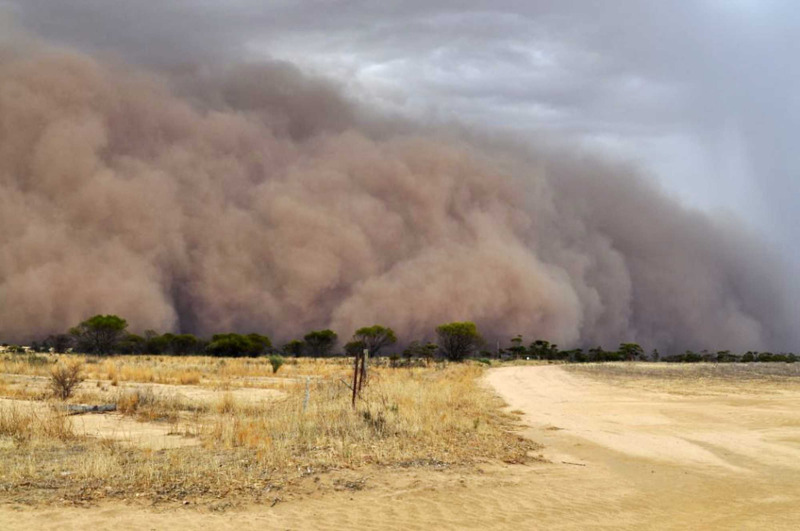 See managing wind erosion for more detail. If cropping on eroded soils, we recommend cereals are established with minimum soil disturbance. Cereals have better tolerance to sand-blasting than lupins, canola and peas. Eroded areas may need additional nutrients, so consult an agronomist on the need to do a soil test. Managers who have retained sheep after a fire may need extra feed early in the season and grazing crops is an option. Stock numbers and crop area can be increased on a farm using grazing crops because there is less reliance on slow-growing early pastures in a grazing crop system. Wind and water erosion following a fire can reduce the water quality in dams by blowing or washing ash and soil from burnt paddocks and bushland into the water. Nutrients in the soil and ash could lead to bacteria and algae growing in the water and reduced suitability for livestock. See contamination of farm dams for information on clearing or treating contaminated water. See Water supply management after a fire for more information. lightning strikes are common during the dry part of the year. We recommend that managers develop a preventative program and a recovery program to prepare for fire and wind erosion. For more information see bushfire survival plans for landholders.